Do you LOVE croissants ? Love your photographs, tableware and the watercolor painting! Your watercolor brightens up the day beautifully. Happy Sunday sketches. 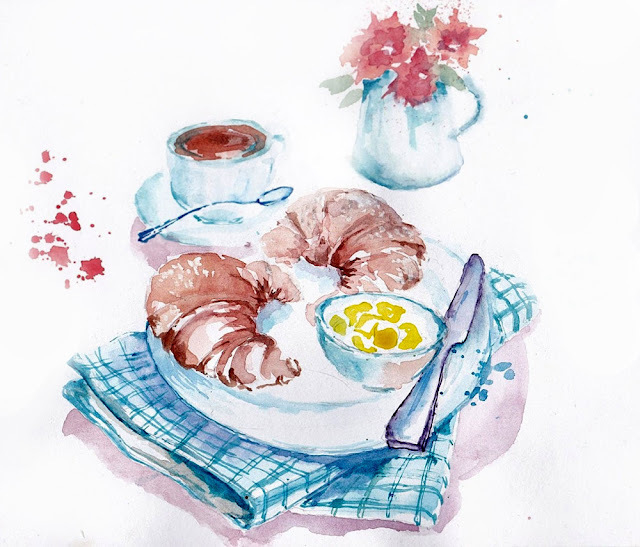 Love these warm welcoming breakfast sketches! 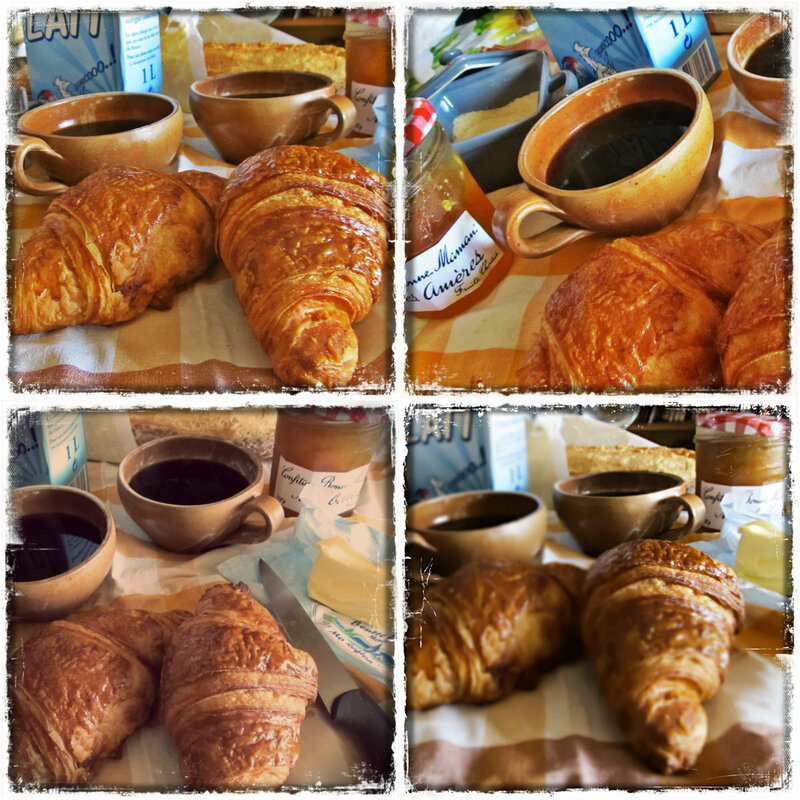 Yummy croissants! I love the different ways you styled the photos and the watercolor that resulted! What beautiful photographs and the painting is lovely!